When it comes to protecting your floors, epoxy can be a God-send. 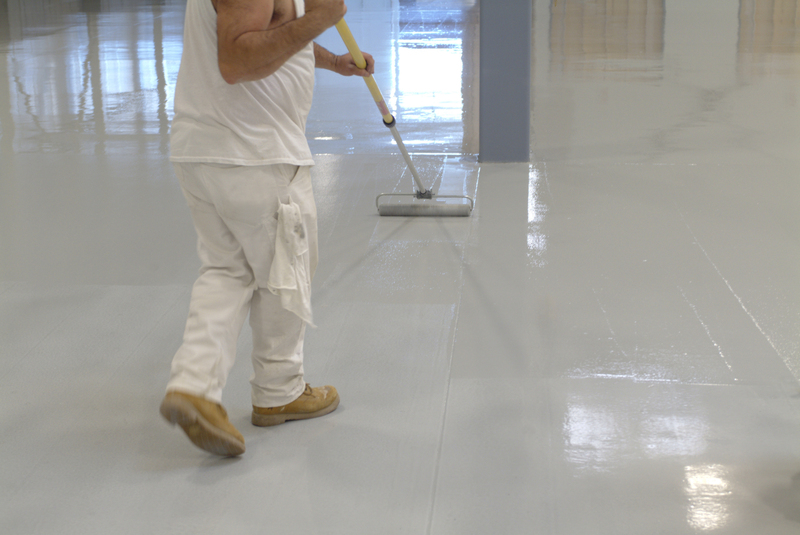 Chemicals, spills, and stains can all be avoided when you invest in epoxy protection for your flooring. This is a trendy, long-lasting flooring choice that will keep your building beautiful for years to come. There are many benefits to adding epoxy flooring to your space. Keep reading to learn additional information on epoxy flooring. When it comes to the price of flooring, epoxy is one of your most economical options. The cost of installation, as well as material, is lower than other flooring alternatives. When you make a switch to epoxy flooring, your wallet will thank you. You should also factor in all the money that you are saving over time by protecting and preserving your floors. You won’t have to waste time and money-making repairs when epoxy is acting as a protectant. When it comes to epoxy, there are few substances that it will not resist. This is ideal for spaces where you are using things like oil, gas, fluids, cleaners, and bleach because they will not be absorbed and will not hurt the epoxy or the ground beneath it. Epoxy will rarely be affected by chemical spills and agents. If a harsh chemical does affect the epoxy coating, it is much easier to fix than fixing your actual floor. Hazardous materials aren’t the only thing that your epoxy flooring will resist. It is also resistant to bacteria and germs. This not only makes it easy and quick to clean but also makes your workspace safer and cleaner for you and your employees. Many hospitals utilize epoxy flooring for this reason. When it comes to lifespans of flooring, epoxy is one of the best on the market. The only material that may last longer is concrete but that is only the case when it is properly sealed and maintained. When you choose epoxy flooring, you are making a long-term investment in your space. You can rest easy knowing that your floor will last for many, many years to come and will keep your space clean and safe. Epoxy is also protective of things like moisture, grease, and cracking. A crack in the floor can be expensive and annoying to fix, but with epoxy, you won’t have to worry about this. When it is properly installed, this flooring will last decades with no cracks, peels, or damage. This is why it is such a great choice for commercial as well as industrial space. When it comes to epoxy, you have options. You can get a wide variety of colors that have a nice, smooth shine. You can also make patterns with your flooring to personalize the look to your space. When you choose epoxy flooring, you are making a wise investment into the future of your space. This long-lasting material will keep your building safe and clean as well as stylish and beautiful for years to come.